Hello Happy Site Owners! This is the BlogAid Tips Tuesday Podcast for December 3 2013 and I’m your host MaAnna. This week’s tips include the new feature set for WordPress 3.8, a super duper resource for working with Gravity Forms, two new themes from StudioPress, content curation ethics and ripping off something so wrong that’s it’s past unethical, a new way to look at your income and client goals for next year, a very balanced report on G+ comments and YouTube integration and what it means for you, and a service that I’ve stopped offering and need your help to find a replacement for. So let’s dive in. Listen to the podcast. The new feature set for WordPress 3.8 has been confirmed. It includes a few things that were first developed as plugins. The first one is MP6, which is basically a paint job for the color scheme on the admin side, but also includes new fonts that are much easier to read. If you’re a member of the BlogAid Video Tutorial Library then you’ve seen it. Another new feature is called Dash, which is a makeover of the Dashboard modules. Then there is THX38, which includes changes to the way themes are installed and previewed. And the last one is called Widgets Area Choose, and that is the one that has the most real functionality improvement. I’ll have more about all of this in a video for you so you can see the changes. So look for that to be coming out very soon. And WordPress 3.8 is still slated to be released by the end of the year. Dave Clements is one of my fave WordPress code bloggers. On his Do It With WordPress site, he has written several super tutorials about Gravity Forms for both users and developers over the years. He’s collected all the links together into one super post. You’ll want to bookmark this one for reference. The new Twenty Fourteen theme is already available for testing, but may be held back for release with WordPress 3.9 next year. You can read more about where they are with it in this post on the WordPress Development Updates blog. There are some daring features in it, like a featured content area and a way to show off multiple authors because it’s a magazine style theme. StudioPress has released two new themes. The first is an update of the News theme. It retained a lot of the layout from the original news theme, but now it’s fully response. And the fonts and such are flipping huge, by comparison. It’s like they swung the pendulum far to the other side. First they were too small and now they’re too big. For me, there’s just too much dead space before you get to the content. In fact, you have to scroll to even see the Featured Story. I mean, geez, guys, take a look at the top news sites like CNN and MSNBC. If you’re covering the news, then get the big story near the top. The new design just doesn’t work, in my opinion. StudioPress has released a brand new theme, and this one does work. It’s a big departure from their norm, which is great. It would be a super personal blogging site. So go check that out. And I hope they continue to come up with more themes that have a clean design that are this fresh looking. Content curation is all the rage these days. 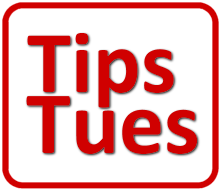 Tips Tuesday is a good example of it. I read over 100 blogs a month and pull out the posts that I think you’ll find useful. There are good ways and bad ways to do that. This post on the Content Marketing Institute blog is a great way to see if you’re doing it the best way on your site. And I can tell you how it feels to the folks you’re ripping off when you don’t do it right. My post 5 Things a Theme Designer Hates About You got spread far and wide. In fact, one person said she was inspired by the post. She wrote her own post and even put my name on it with a link back to my site. Then she took, verbatim, the five things, and placed them on her site. She cut them off at my call to action and put her own in. That’s not ethical curation, folks. It’s a step above a content scraper, but you can’t take whole chunks of someone else’s content and use it as your sales pitch. Now, that said, I do follow some thought provoking posts I curate here with a call to action. But, the difference is, the original author is not selling the same service. Or, they have no resources to show you how to do the thing they are talking about. +Peg Fitzpatrick wrote a similar post about this on G+ where she said some folks had scraped whole big chunks of her bio. These days, with authority and authorship being tied to your personal G+ profile, personal branding has taken on a whole new meaning. So, it’s okay to get inspired by the way some folks have constructed their bio, but it’s not okay to rip off sections of it and use as your own, especially catchy phrases they’ve created for themselves. How Many High End Clients Do You Want Next Year? Now that we’re into December, more folks are starting to post their year-in-review and planning for 2014 posts. Daphne Bousquet has a nice one on her Event Strategy Solutions blog that caught my eye because it’s part of what I did this year that made business grow so much on BlogAid. She breaks down what you have to do to meet your income goals. But more importantly, she mentions your mindset of trading dollars for hours compared to packaging your expertise based on value and results. I have a mix of that on BlogAid because I still have a fairly wide client base of both folks just starting to get serious about their online success and then higher-end clients who need site management and tech services. So, go read Daphne’s post and see if it opens your eyes to a different way of thinking about your offerings and the mindset behind them. I’ve been using linked annotations in YouTube for a while now. And it’s been driving quite a bit of traffic back to my site. Now one of my fave bloggers, Amanda DiSilvestro has a sweet tutorial on the Higher Visibility blog on How to Use YouTube InVideo Programming to Improve SEO. It includes embedding another video or a watermark. I’ve got several new bonus videos to add to YouTube soon and will be giving this a try to see how it not only affects my SEO, but traffic to my site as well. What’s Up with the Google+ Integration with YouTube, and What Does This Mean for My Business? And while you’re there, you can read Amanda’s other post on G+ comments being integrated into YouTube. This caused a major uproar for a while. Amanda gives a very balanced report on the pros and cons. And I thought the first line in that post was odd, but telling. She said that Google has developed a partnership with YouTube. Google owns YouTube. But Google, like every other major corporation, has at least 14 different departments that don’t talk to one another. Sometimes Google, G+, and YouTube create features that either conflict or directly compete with one another. It’s gotten so bad that I’ve removed my services for helping folks straighten out their Google Account mess. And it’s hard to find anyone at any price to help you. The best advice I can give you is seek out someone knowledgeable to help you set it up right in the first place, because detangling established accounts is either a mess or impossible. If you know folks to recommend, leave a comment. We’d all like to know.